A simple Match3 game with runes carved with symbols that are part of a conlang for a world of my own creation. This is meant to be a mini-game along side of a story-based web game. 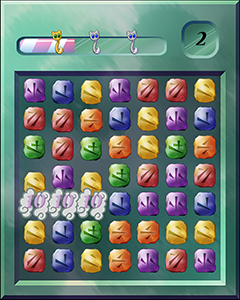 I still have the capability to add further runes, effects, and levels, but the game is fully playable as is. Game Over screen currently shows at the end of the level, regardless of score.